Sunday was a good day. I woke up early and headed out to my local Fred Meyers. It seems that the only place to buy anything electronic, that isn't Apple, is at Fred Meyers. Seriously, Corvallis has made it a point to keep out as many big retail places as possible. So there are none of my beloved places such as Best Buy,Wal-Mart, Circuit City and Target. Wait, this isn't my point... Back on track. I went to Fred Meyers early Sunday morning and picked up a copy of Super Smash Bros. Brawl - the latest in Nintendo's successful Smash Bros. series. The game has a great premise to it: Over the years Nintendo has been creating games with memorable heroes inside of fantastical worlds. Over time the inevitable question arose: Who would win in a fight? Mario or Link? Kirby or Donkey Kong? 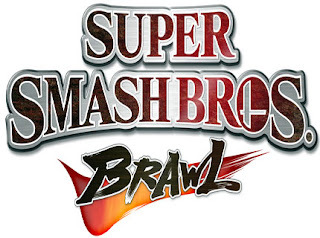 Nintendo decided to create Super Smash Bros. to answer that very question. So you pick a character, who has special talents based on the original game, and you battle against other characters in arenas that look like those character's original world. Basically, it's a fun way to play with friends and have a blast. So, I got my copy and started brawling. If you're hooked into my twitter feed, you already know what I'm talking about. What? You're not using Twitter? Well it's time you join the revolution. Until then, let me tell you more about what I think of Smash Bros. Just like all the previous versions, this is an excellent game. They've done a great job of adding tons of characters and twists to make the game ever more fun such as a Nintendog popping up in the middle of the screen to distract you. Also, playing my friends over the internet is plain exciting. Let me put it this way, if you own a Wii, go out and buy this game and I promise you won't be disappointed. Heck, if you've been looking for some way to justify buying a Wii, the opportunity to play Smash Bros. is a perfect reason to make the investment. To drive my point home (get the game! ), Jessi even enjoys playing with me. We like being on the same team and beating up on computer players together. For me, that makes the system worth every penny. Nintendo really has come through on this game.